Recently I’ve noticed that the video games which I’m most interested are all quirky and independent. So called Triple-A titles like Call of Duty and Assassin’s Creed are of little interest to me because I feel like I’ve played those games before. They iterate their games over a decade, with each release bringing marginal tweaks to the original formula. Independent games, however, have to bring new and innovative concepts to the table because they don’t have big budgets, publishers, or generous marketing budgets. They rely on viral marketing, word of mouth, and online hype and discussion. Things that can only stem from innovation. 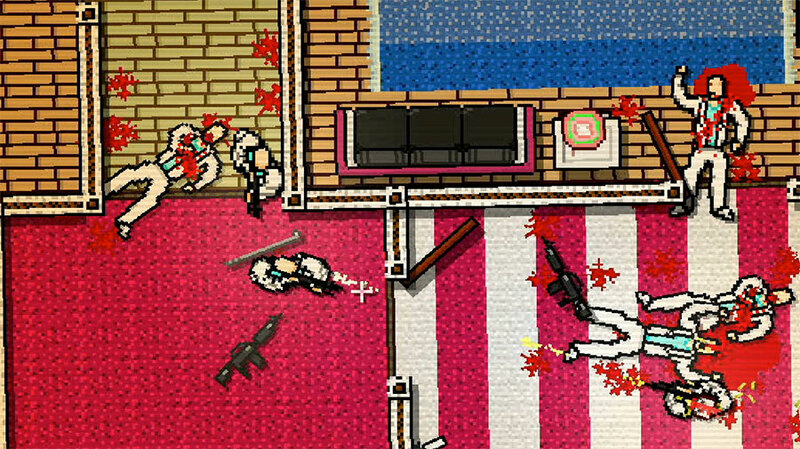 Hotline: Miami is the kind of game that you can’t not talk about. It’s stylish, amazingly violent, and deeply satisfying. Most surprisingly, it is philosophical. In a way, it’s the antithesis of a game like Grand Theft Auto V. Its scope is narrow, focus disciplined, and it’s an easy game for anyone to pick up and play. This game is set in 1980’s South Beach, Miami. Imagine a retro shooter made in the mold of every action scene in the movie Scarface. Creeping around corners with knives and guns and mercilessly dispatching rooms filled with enemies, leaving blood soaked rooms behind you. That is this game. It’s visceral and demands quick reflexes but also tactical analysis and planning. You can go into each room with guns blazing or silent tact, but in most cases the quick approach will get you killed. As you progress through the game you unlock additional masks and weapons. Masks confer unique abilities to your character when worn, like lethal punches, faster movement, and extended vision. Before completing some missions, you will die dozens or hundreds of times. In this aspect Hotline: Miami is faithful to its actual 8-bit ancestors: it presents simple but brutally difficult challenges. There are 15 stages to complete, which take anywhere from five to thirty minutes to complete. I would estimate it took me around 12 hours to complete Hotline: Miami which I’m perfectly satisfied with. Games which demand 20+ hours to complete are an exhausting prospect to me like watching entire seasons of television shows. All of the surface elements of Hotline: Miami are very straight forward: you are a hit man instructed to kill armed and unsuspecting foes. What I didn’t expect was a sophisticated narrative to accompany a game that appears so simple and brutal on the surface. This game doesn’t glorify violence. After completing each level, the music abruptly stops and you’re instructed to exit the building and return to your car which is parked outside. You soberly return through each room that you came through, silently passing piles of bloodied bodies. Until you reach a later stage of the game, you have no idea why who you are or why you’ve done this. You just follow orders: go here, kill these people. The reveal is sordid and spectacular. From when you first launch this game until the final credits roll, this game is consistent. Each moment looks and feels faithful to the 8-bit era of video gaming. The retro graphics are functional and charming in the context of such a bloody and stylish game, which has an amazing soundtrack of independent electronic music. 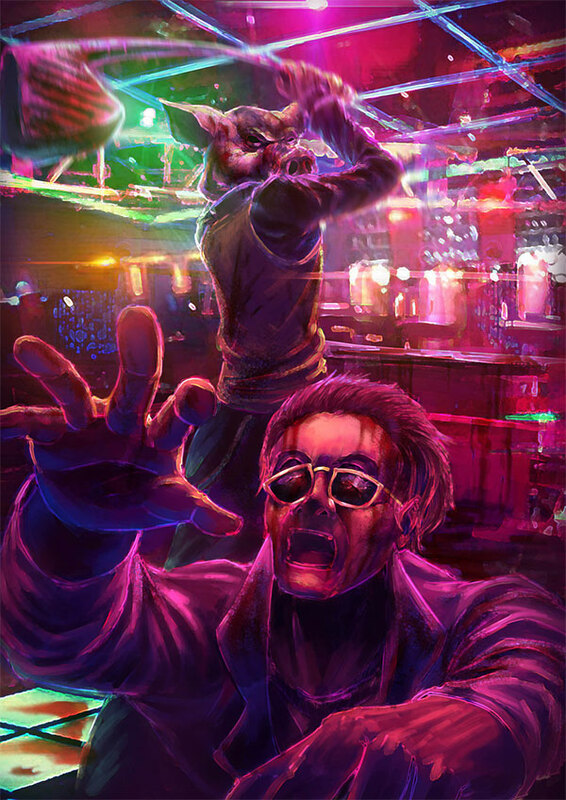 1980’s electronic music blasts over the speakers of clubs that you roam through, seeking and eliminating targets. You can see details like 8-bit turntables in the DJ booth and walls lined with VHS movies in the video rental store. One of my favorite sequences in this game is a driving interlude after you complete each level. Pixelated palm trees whisk by as a heavy chill-wave beat plays and your score cascades onto the screen. Pixel art and retro visuals have come back in a major way in the latter years of the PS3 and Xbox 360, and they make a great fit for the lurid world this game is set in. 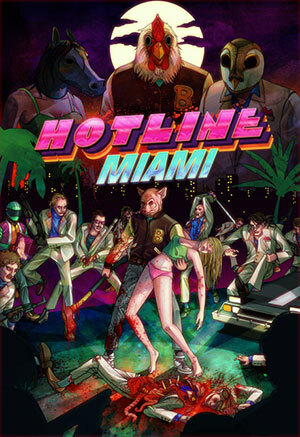 Hotline: Miami is easily among the most breakthrough independent games I’ve played in recent years. It focuses on brutal close-combat, but like the original Mortal Kombat, the depth of this game goes so far beyond what you see on the surface. I highly recommend this game.